Byzantium started out in the 660 BC as an ancient Greek city named for Byzas, the son of Poseidon, raised by Spring Fairies who was instructed by the Oracle of Apollo at Delphi to settle the land where the Golden Horn meets the Bosporus. He followed the advice of the Oracle and 150 years later, in 512 BC the settlement was taken by the King Darius and the Persians. The Flag of Darius and Persians at Byzantium was the Star and Crescent moon, the same symbol used by The Ottoman Turks, the same symbol used by Turkey today. In 148 BC Byzantium became a Roman possession. Around 200 AD it was fortified by Emperor Septimius Severus and in 330AD, Emperor Constantine decided it was the perfect location for his new city “Nova Roma’. It even had 7 hills, just like the Western Roman capital city. When Constantine died in 337, the city was renamed Constantinoupolis. The term Byzantine came back in 1557 when it was coined by a German Historian Hieronymus Wolf with his book ‘Corpus Historiae Byzantinae’ to describe the art and culture of the influence of Constantinople. Subsequent books using the term soon followed. The Greek speaking community of Constantinople always referred to themselves as Romans. In fact, everyone from Spain to Persia referred to themselves as Romans. The Caesars of Russia became Tsars. The Caesars of Germany became Kaisers. For us, the Roman Empire has never ended. At the height of antiquity, Constantinople was a city of over a million people. It began in 330 with Constantine I (son of Helen) and ended 1,123 years and 88 Emperors later with Constantine XI (also son of Helen) in 1453. Between the Constantines were Theodosius the Great, Justinian the Great, Valens, Julian the Apostate and quite a few more. It’s a really great history. Although the western capital of the Roman Empire fell in 408, the eastern capital lasted until 1453. At one point in the mid 6th century, Emperor Justinian and his brilliant General, Flavius Belisarius took back much of the old empire (including the city of Rome) but it didn’t last too long. After Justinian died in 565, the Western Empire was gone forever. In all of it’s 1,123 years as a Roman city, Constantinople was sieged 23 times but prior to 1453, when Mehmet II conquered the city, it only fell once in the most bizarre conquest of all Christendom. The 4th Crusade was supposed to save Constantinople and the Holy Land from the Ottoman Invasion. Instead, the Venetian led forced under Doge Enrico Dandolo sailed directly to Constantinople and destroyed the city, looting pretty much all of the wealth dating back to 330. The Latins claimed it was retribution for the Orthodox massacre of the Latin inhabitants of Constantinople in 1182 but it was more likely based out of greed and the need for wealth. On April 12, 1204, after 9 months of siege, the Crusader army of over 11,000 took the city, pillaged it for 3 days and dismantled the rest of the wealth during their 57 year occupation. It was the richest treasure any of them had ever seen, over 870 years of untouched Roman treasure. The 4 horses from the Hippodrome ended up adorning the Cathedral of San Marco in Venice. Who knows were the rest ended up, melted down and remade into Venetian and French treasures. The 1204 Sack of Constantinople was the defining act that caused the split between the Eastern and Western churches that lasted until 1962, and even after that it’s still a bit strained. Taking Constantinople was not an easy victory. The land approach from the Golden Horn to the Sea of Mamara was protected by 14 miles of 100’ high walls and 192 towers loaded with anti siege weaponry hurling rocks and Greek Fire. 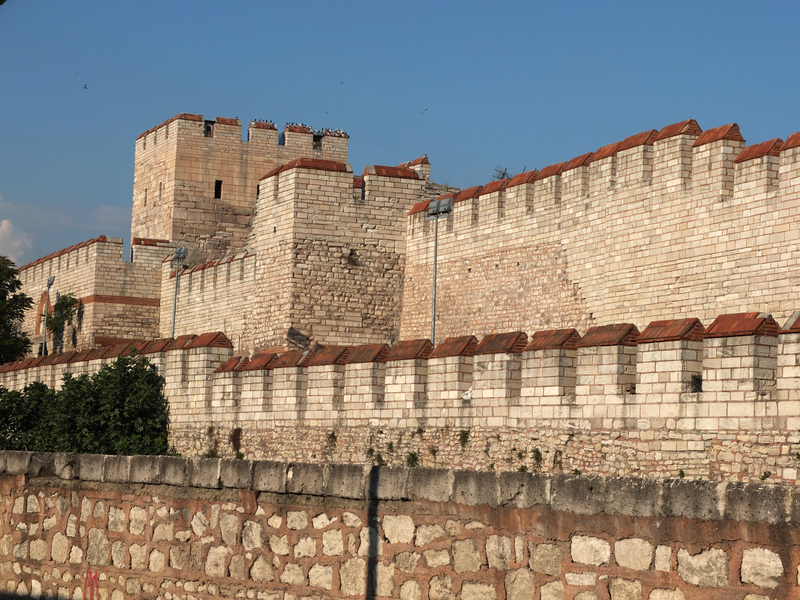 The Theodosian Walls were actually composed of 3 defensive walls of concrete covered in limestone and banded in red brick. 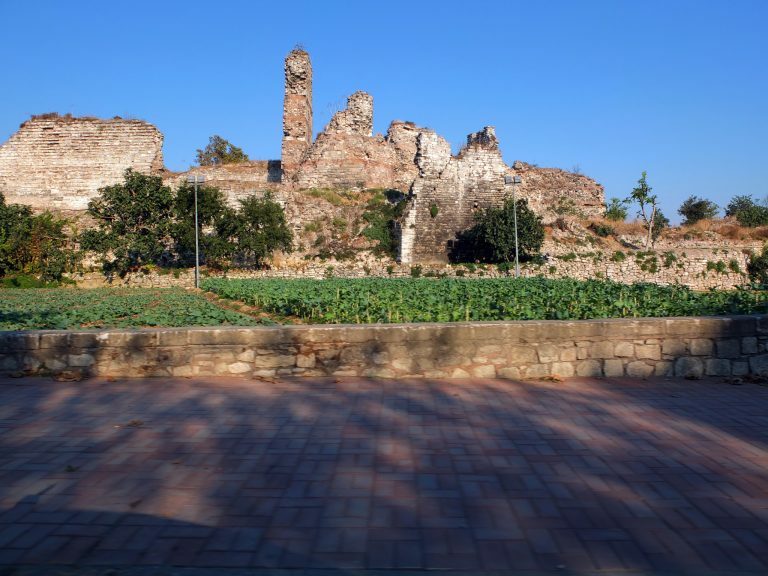 Although there was a defense system during the time of Constantine, the still amazing Theodosian Wall system wasn’t built until 413 in the reign of Theodosius II (grandson of Theodosius the Great), when the city needed really good protection from Attila the Hun. The entire shoreline was also enclosed in walls over 50’ tall with 188 towers interspersed with chains to halt any unwanted sea traffic. 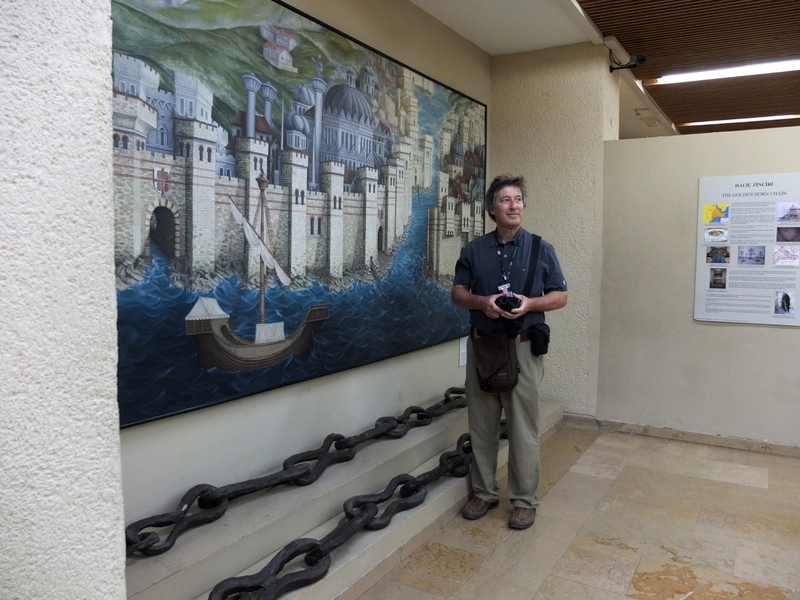 The longest was a 300 yard chain of 20” long links supported on wooden floats that went from the Constantinople side across the Horn to the sea wall of the Galata fortress. This photo shows part of the chain now on display in the Archeology Museum. The chain held throughout the Ottoman invasion of 1453 but Mehmet II finally figured out a way to get by it. He had his army build tracks, covered them with animal fat and then transported 70 ships over 1.25 miles up an 8° slope behind the Genovese fortress. At some points the tracks were 200 feet above sea level. Oh, by the way, he did this in less than 24 hrs. There were (and still are) many Gates along the wall. Some of them have been restored and have the appearance of the early 15th century before the conquest. Other parts have been left to decay. We were told that in some sections you can still see cannonballs stuck in the walls. The sea walls are there but not as visible as the land walls. The Bosphoros is a very busy strait with dozens of ship day and night. The walls were removed over the years to make room for the needs of modern shipping. A few remains of the once spectacular seaside Bucoleon Palace looks like a doomed relic. 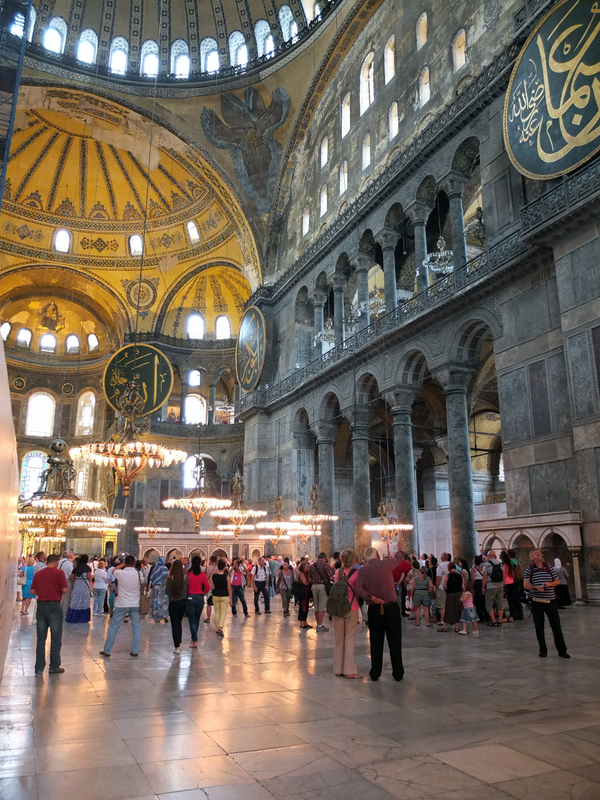 It was first built in the 5th century by Theodosius II and enlarged by Justinian in the 6th century. 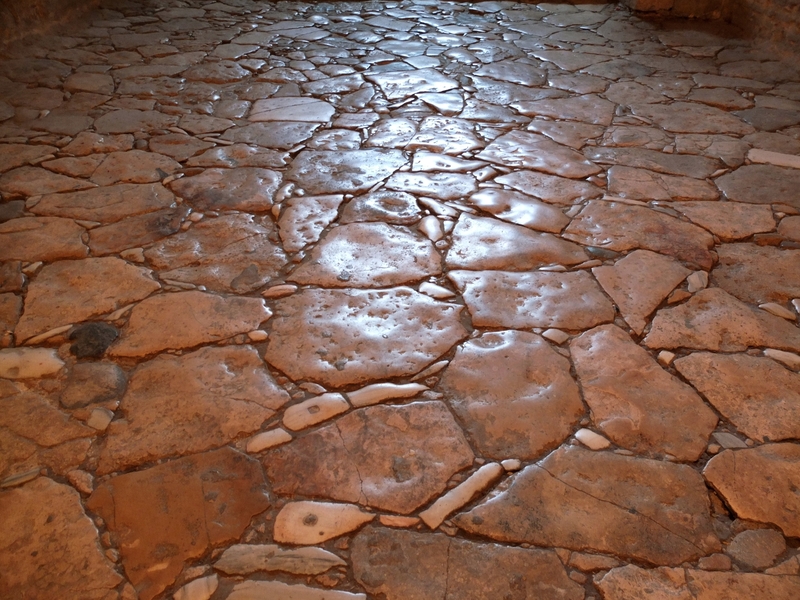 According to Geoffrey of Villehardouin, the knight and historian of the 4th crusade, when the knights entered the Palace after the siege of 1204, “there was so much treasure it was beyond end or counting”. They took it all. By the end of the Latin occupation, the Bucoleon palace was in ruins. In the late 19th century most of the old ruins were torn down to make way for the railroad. The Golden Gate, three arches built of interlocking blocks of polished marble flanked by two marble towers, was triumphal gate of the Emperors. There were once sculpted bronze elephants and winged victories but they were stripped during the 4th crusade and consequent Latin occupation. Emperor Heraclius carried the True Cross through this gate in 628 but then for some reason he brought it back to Jerusalem. The whole story of the True Cross and the splinters given to thousands of churches across the Christian world is too confusing to get into. I’m sure if you put all the splinters back together they would make a tree larger than a giant Sequoia. When Mehmet II took the city, he sealed the Emperor’s Gate making sure that a Byzantine Emperor would never enter the city again. He also utilized the four towers next to the Golden Gate and built the imposing Seven tower fortress known as Yedi Kule. It was originally used to protect the treasury but eventually became the most feared prison in the empire. You can still see the conditions the prisoners lived in. It’s dark, damp, very little light and really depressing. The last prisoner was in 1837. I have no idea if he walked out or was carried out. To the north was the hulking Palace of Blachernae, now being restored. This was once the largest Palace Fortress on the walls and the main residence of the Byzantine Emperors from the 10th to the 15th century. Now it’s one of the poorest parts of the city. The great defense wall system had two points of vulnerability, the water gates by the Golden Horn where the Venetian forces broke through in 1204 and the 5th Military Gate built on top of the Lycus River bed. The river entered the city through a large culvert so a moat wasn’t built in this location. It proved to be the soft point in 1453 and the spot where Mehmet II concentrated his canon fire. It finally broke on May 29th 1453. By the time it was over the army of 160,000 Ottomans attacked the city for 53 days. 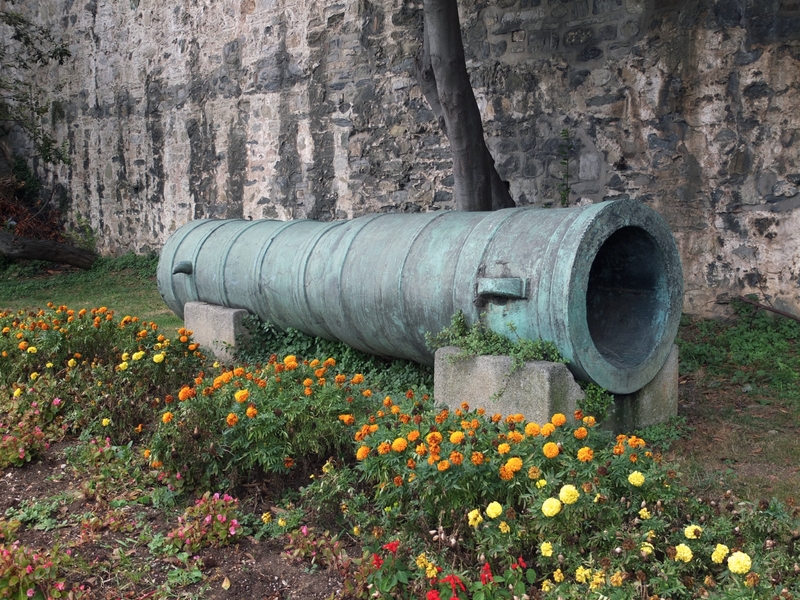 Constantinople felt the heaviest bombardment of any siege throughout the middle ages, 1500 pound cannonballs from the largest cannon ever built and over 5000 shots of smaller cannons. An estimate of over 55,000 pounds of gunpowder was used. In the end, the army of 8,000 defenders was reduced to barely 2,000. Sometime around the beginning of 1453 a small volcanic island of Kuwae, 1200 miles east of Australia blew up and sent 8 cubic miles of molten ash into the stratosphere. It caused a global weather change that chilled the world from China to Sweden. It also hit Constantinople on May 26th in the form of a cold fog and flashing atmosphere, reflecting off the copper dome of St Sophia like flaming tongues. It was the ominous harbinger of doom for everyone in the city. Three days later, on May 29th, the city fell to the Ottoman invaders. Constantine XI Palaiologos (the last Emperor) most likely died in the battle on May 29th as the Ottomans breached the walls. There are many stories of his demise. 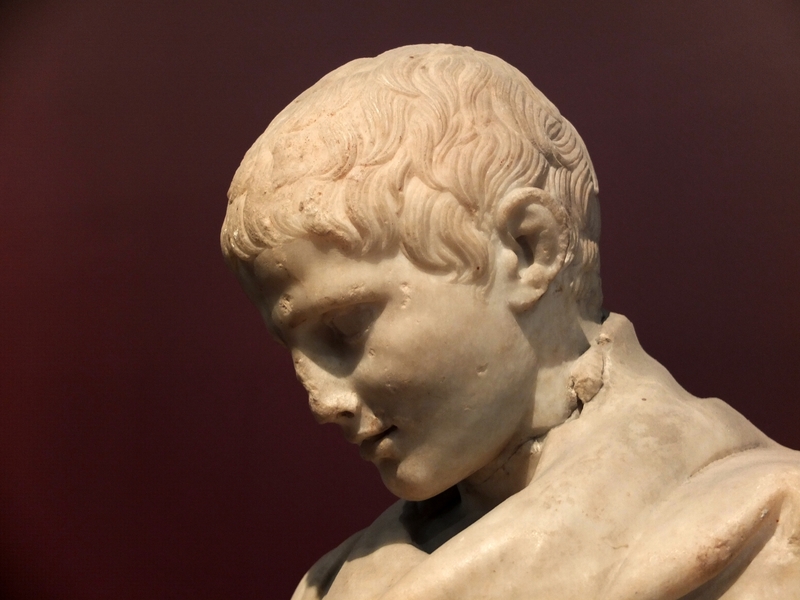 One has his severed head hung on a post next to the statue of Justinian in the Hippodrome. Another has his head skinned and stuffed with straw, sending it around to various Ottoman capitals as a trophy. The most famous version has Constantine removing his Imperial armor and dressing like a common soldier as he leaped onto his horse and into the fray, he shouted “The city has fallen but I am still alive”. Another version of this story has an angel grabbing him in mid air, turning him into a marble statue and burying him in a cave under the Golden Gate. According to the legend, when the city is once again in Christian control, Constantine XI will once again come to life and resume his rule. It was this story that made Mehmet II seal up the Golden Gate after he took the city. The Gate of the Spring, now known as the Selymbria or Pege (Pehjay) Gate was opened up in 1261 to let in the army of Michael VIII and to defeat the Latins and return the city to the Orthodox control. Michael was the first of the Palaiologos Emperors that lasted from 1261 to the end of the Empire in 1453. 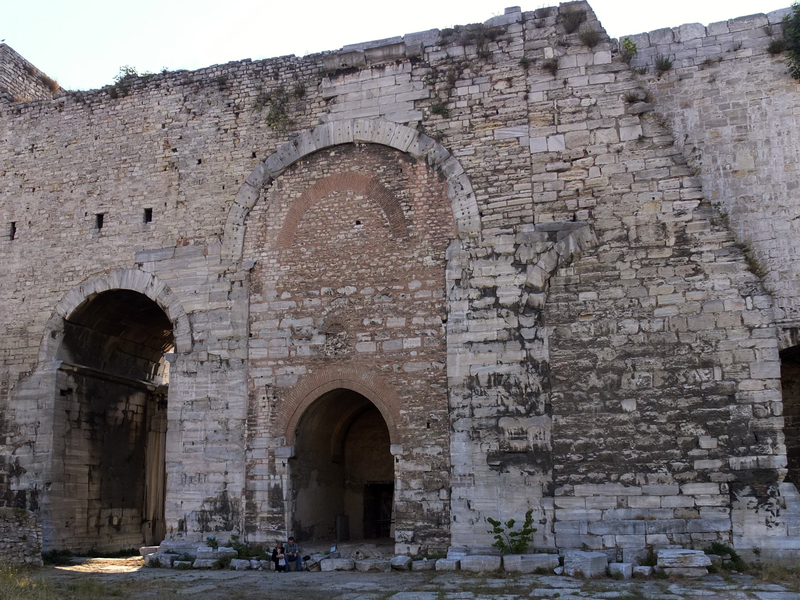 The Canon Gate (also known as the St Romanus Gate), now known as the Topkapi Gate is one of the highest point of the wall. It was here where Mehmet II launched 1500 pound canon balls from his super canon and here where he made his grand entrance into the city on May 29, 1453. This was also the gate where Constantine XI and his horse jumped into the fight never to be seen again. The man with Gretchen is our guide Farudun. Mehmet died on May 3rd, 1481 from what most believe was poison administered from his Persian Doctor under the orders of his son Bayezid II. Thirty years later, Bayezid would be poisoned to death by his son, Selim the Grim. So it goes. Mehmet II died near Gebze, about 38 miles east of Istanbul, the same place where Hannibal committed suicide by poison in 183 BC. 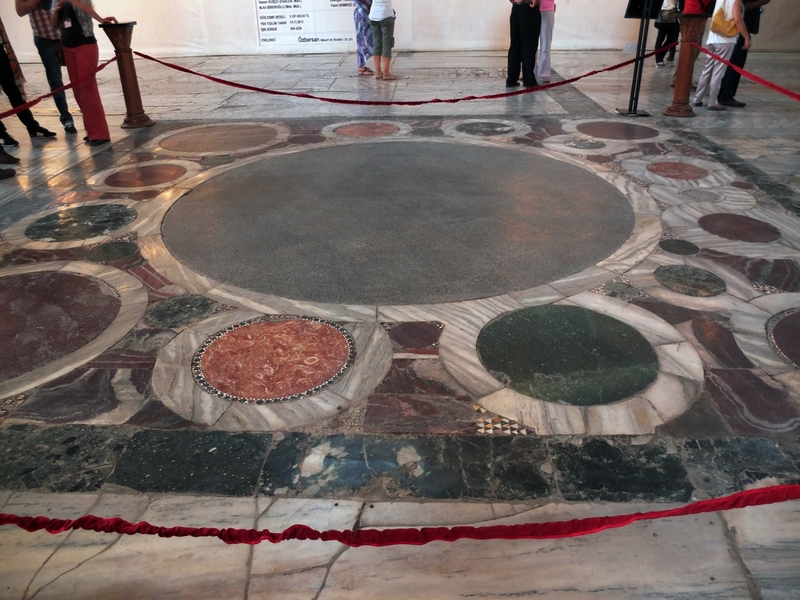 Today, his remains are in under the floor of the Fatih Mosque on the site of the Byzantine Church of the Holy Apostles where most of the great emperors of Constantinople were buried from Constantine I to Theodosius, Justinian and Theodora and on down the line. None of these tombs exist. The Orthodox Emperors were probably looted during the Latin occupation from 1204-1261. When we were at the Fatih Mosque we were told that the Fatih Mosque has gone through many enlargements and renovations over the years and Mehmet’s Mausoleum just got incorporated into the building. 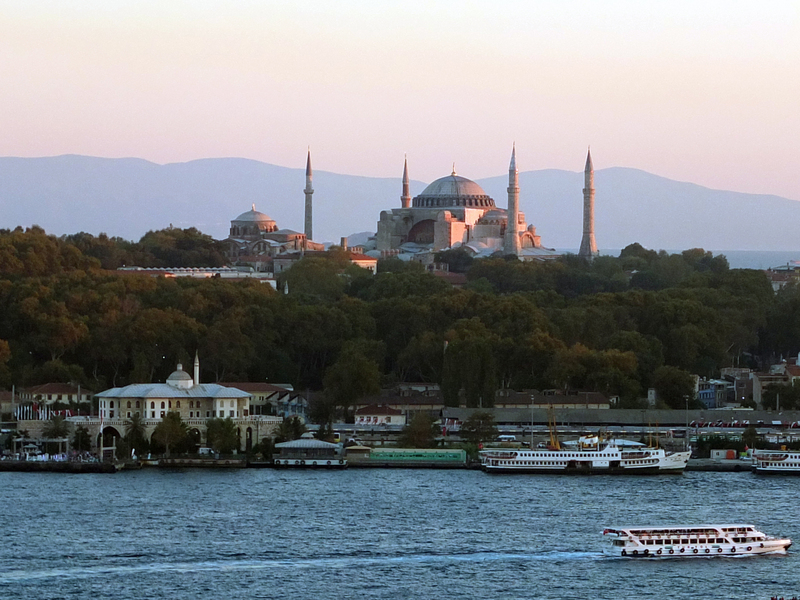 Today Constantinople or Istanbul is a city of around 14 million people and 3 million cars. It gets an estimated 12 million tourists a year. Depending on which source, it’s either the 5th or 6th most popular tourist destination in the world. We learned a few phrases in Turkish; merhaba (hello), teshekur ederim (thank you), gulé gulé (good bye), lütfen (please), onay lütfen (check please) and kash para (how much). Most everyone speaks enough English but they really appreciate any effort to learn their language. A cultural door opens and with just a few words you can get so much more out of the visit. This is our third visit to Istanbul. We’ve been enchanted by the Mosques, the Churches the Bazaars, the boat rides on the Bosphorus, the great palaces and lots of ancient monuments but this time we are set on finding out more about the Byzantine Empire before 1453. We’ve read a bunch of books, studied our history and now we’re here. We’ve rented a great apartment on the European side in an old district called the Beyoglu, a maze of small winding streets with a mix of bars, cafes and old antique shops. We’re a 15 minute walk from Taksim Square, a 15 minute walk from the beautiful European looking Istiklal Avenue, a 20 minute walk to the old Genovese Galata Tower and a 5 minute walk to the Tophane Metro stop that will take us to the Sultanamet and the Hagia Sofia in about 15 minutes. The apartment, managed by My Suite Istanbul has two terraces. One overlooks the Bosphorus and the other looks onto the Galata Tower. This is a great place. Thank you Berkay and Cihan. I have to add something here about the light switches in the apartment. In our western world, all light switches are somewhere near waist level. In this apartment they are much lower, around ankle level. Whatever the reason might be, it turns out to be really handy. You can use your foot to turn on/off the lights. What a great idea. Before I go further into the great story of Ancient Constantinople, take a look at the website Byzantium1200.com . These people have done an excellent job of recreating what the city looked like. Before you come to Istanbul, please look at this site. The center of the ancient Roman city is in the Sultanamet area, named for the 17th century Ottoman Sultan Ahmed I. You can easily see the remains of the Hippodrome, the center of life of 5th century Constantinople. The huge sports arena was 450 meters (1476’) long x 130 meters (427’) wide and had a capacity of over 100,000 spectators. The structure is gone but the shape of the old racetrack is still there. The chariot teams were made up of 4 political factions; the Blues (Venetii), the Greens (Prasinoi), the Reds (Rousioi) and the Whites (Leukoi). The Blues (wealthy noble) and the Greens (people) were the dominant teams and their political and religious differences often flowed out of the Hippodrome and into the streets. After one scuffle and a few deaths, the violence escalated into the Nika Revolt of 532 where half of the city was destroyed and possible 30,000 of people were killed. Here’s an interesting piece of history. In 532, the 4 great teams of the Hippodrome united against the government in the mass revolt that became the Nika Revolt. In 2013, the 4 top football teams of Istanbul united together against the government in the revolt in Taksim Square. In the center of the old racetrack is the 2nd century BC Obelisk taken by Constantine I from the Temple of Karnak in ancient Thebes (now Luxor). It was erected in the center of the Hippodrome in 390 by Theodosius the Great. 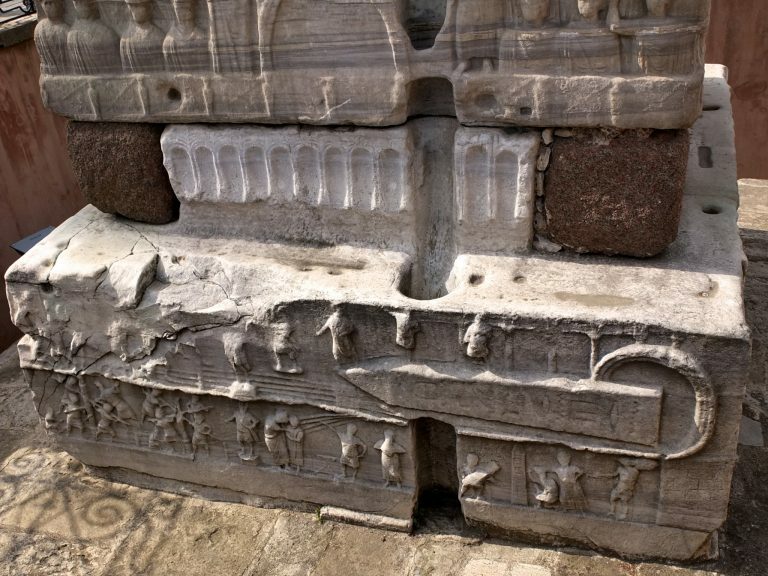 On the base of the Obelisk are still visible carvings of the Theodosius and his family enjoying a day at the races and detailed carvings of how the obelisk was raised to its upright position. There is also a really great graphic description of a chariot race (see photo above). A twisted bronze column is all that is left of 3 intertwined serpents commemorating the Greeks victory over the Persians at the Battle of Salamis in 480 BC, just 6 weeks after the Greeks were defeated at Thermopylae. Constantine I moved the column from the Temple of Apollo at Delphi and put it in the center of the Hippodrome. The engravings of the 31 Greek cities that took part in the victory are still visible on the base of the column that is now about 8’-10’ below the current street. Old cities were torn down or burned down and new cities were built on top of the rubble. The serpent heads were probably stolen during the Latin occupation, but part of one of them was rediscovered and is on display at the Istanbul Archeology Museum. More about this great museum later. The last part of the Hippodrome Center is the 32 meter (105’) tall Column of Constantine VII Porphypgenitus (of the Purple), erected in the 10th century to honor his grandfather the Emperor Basil I. 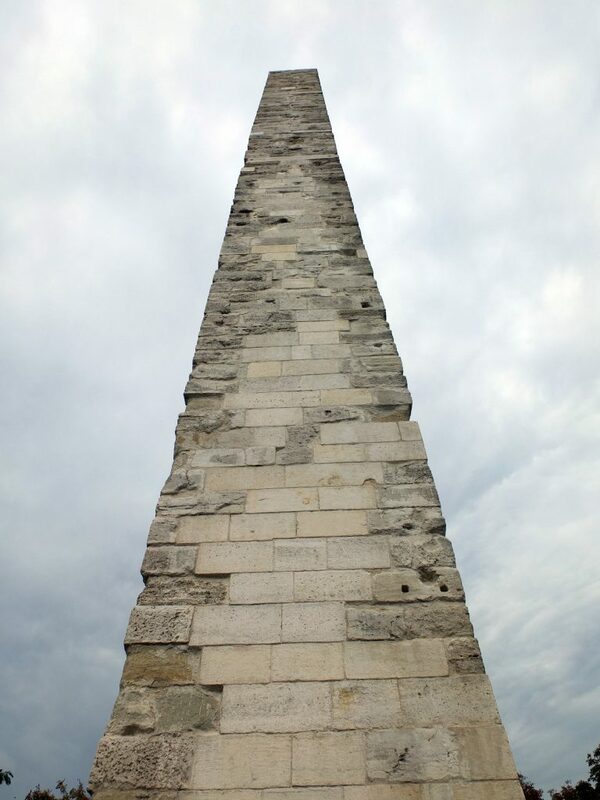 The stone Obelisk was once covered with gilded bronze plates telling the victories of Basil I and possibly recounting some of the great victories of the Charioteers in the Hippodrome, like Porphyrius the greatest charioteer of his day who had several monuments built in his honor. In one great story, a charioteer once complained that Porphyrius always won because he had better horses. Porphyrius traded his team with the other charioteer and still won the race. He was that good. The bronze plates are now all gone. Another treasure removed and melted down by the Venetian Christians of the Latin occupation. If you’d like to see what a chariot race in the Hippodrome looked like, check out this video made by the Byzantine1200 artists. 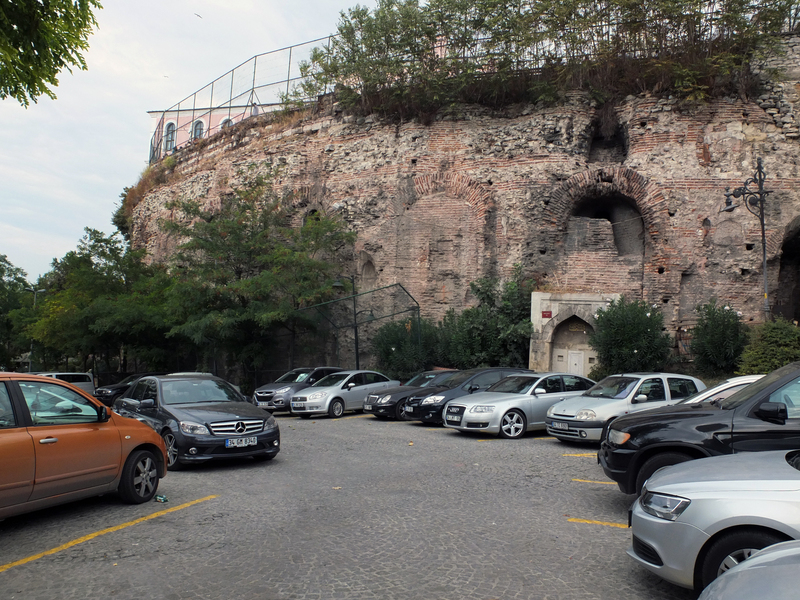 If you walk to the round end of the Hippodrome (with the Hagia Sofia to your back) and continue down the hill, you can still see the foundation wall of the magnificent Hippodrome. The racetrack and the entire Palace complex was built on the lowest hill of the new Roman city. Here is a recreation by the artists of Byzantine1200 of how the Hippodrome looked in the 5th century. 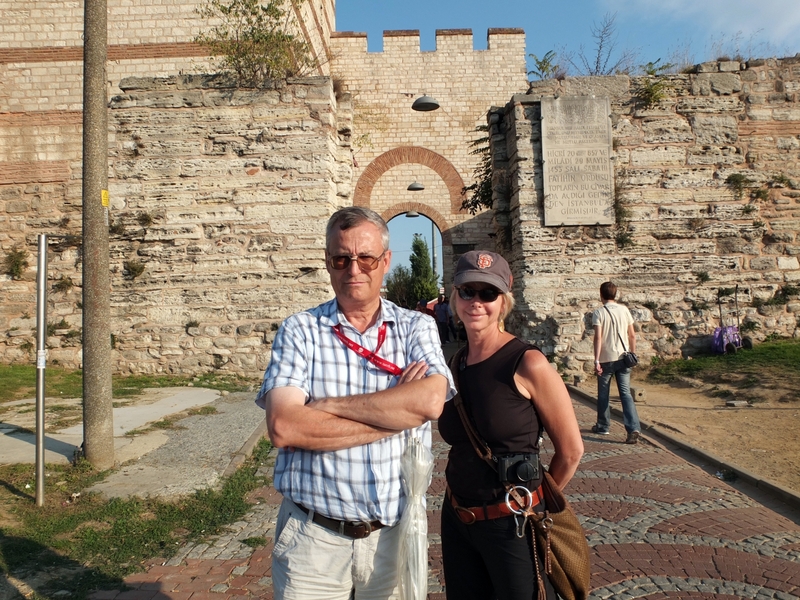 We were really lucky to find Mr Ferudun Ozgumus as our tour guide for a day. Ferudun is a Byzantine Scholar, Associate Professor in Istanbul and an amazing resource of the hidden secrets of Byzantine Constantinople. We found Ferudun through Ozden Basak of Turkland Travel. Berkay, the manager of our apartment recommended Ozden as a good resource for a historical guide and he did not disappoint. Ferudun is a well of information. After 9 hours, our brains were exhausted. There is a small restaurant behind the Four Seasons. The gate was locked but Ferudun knew the owner. 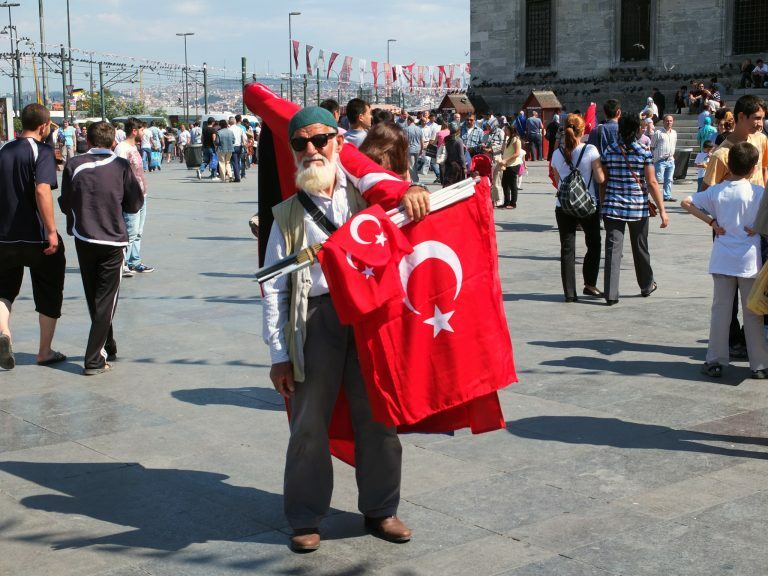 As we found out throughout the day, Ferudun knew almost everyone in Istanbul. The owner opened up the gate, invited us in and Ferudun escorted us down a small dark staircase into a large barrel vaulted chamber that led to a few other vaulted rooms. He explained that the Restaurant owner used his own money to dig out the Palace and kept digging till the money was exhausted. He was hoping to make back something from the find but so far it’s still a hidden treasure that very people are lucky enough to stumble across. 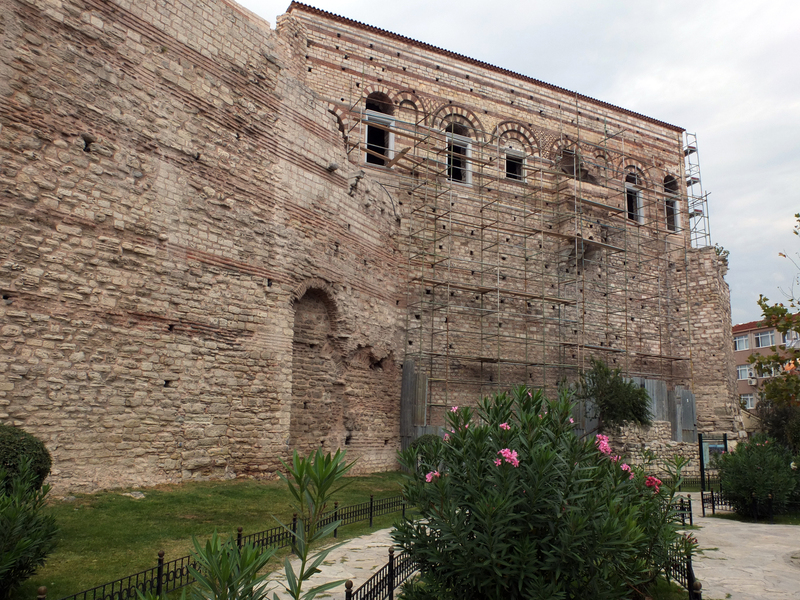 The Chora Church is perhaps the greatest example of a Byzantine Church in Istanbul. Yes, it’s not as grand as the Hagia Sofia but the mosaics of the church are spectacular and the some of the stories they tell are so old, the current Christian doctrine doesn’t even teach them anymore. We were fascinated with the story of the life of the Virgin Mary and her parents Joachim and Anne. According to this long series of mosaics, it all started when Joachim went to the High priest Zechariah to make an offering and he was refused because Zechariah told him he wasn’t worthy to give a donation because he didn’t have a child. Joachim was pissed and went off to brood in the forest. In the meantime an angel appears to Anne and tells her she will have a blessed daughter. 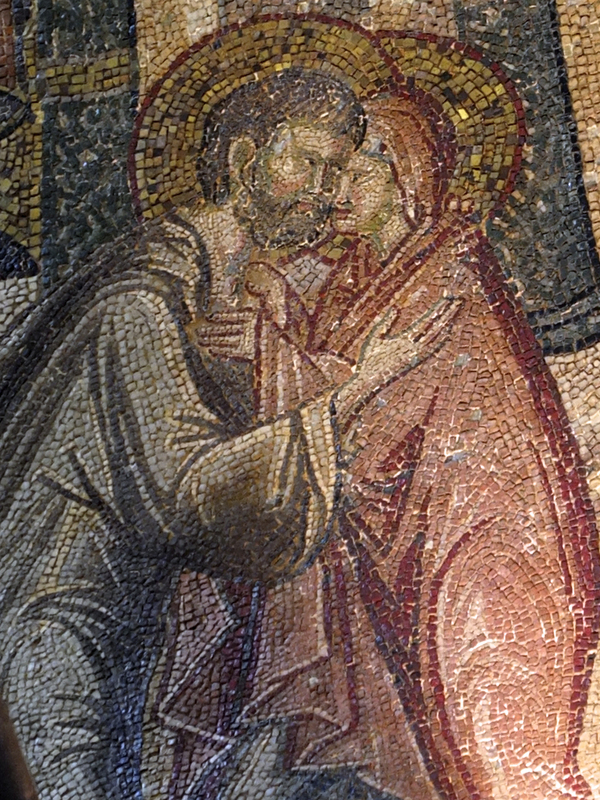 Anne tell Joachim and they hold each in what appears to be a very intimate embrace. Mary is born and become one of the ‘Virgins of David’ a handmaiden performing sacred duties in the temple. Zechariah then decides it’s time for her to have a husband so he calls for a contest where all the suitors bring in their canes and he will pick the suitor from the cane. One of the canes begins to flower and Zechariah says this is a message from god. The owner of the cane is Joseph, an older widowed carpenter with 3 sons. Mary is only 14 yrs old so Joseph tells her he will marry her when she is a little older. He leaves to work in another town for 6 months while Mary remains in his home while he’s away. Meanwhile, an angel appears to Mary and tells her she will have a very special baby. Joseph comes back in six months and finds Mary pregnant. He’s pissed until he also gets a visit from the same angel who explains the situation to him. The rest you’ve probably heard already. 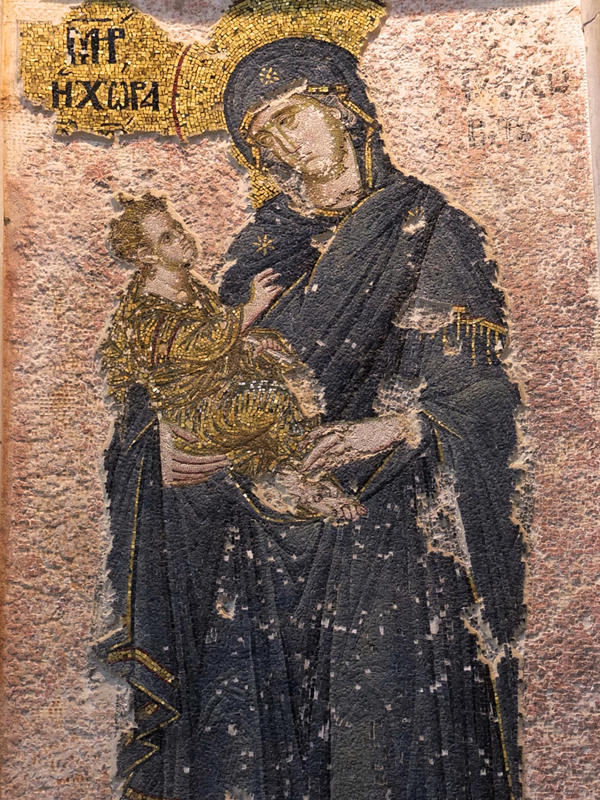 The Chora is filled with beautiful 14th century mosaics although some of them have been picked apart by pilgrims and tourist who’ve removed tesserae tiles and makes the mosaic look as if it was eaten away by a strange disease. The theft of the small tiles stopped a while ago so thankfully we still have enough of the image of The Virgin Mary to still appreciate it’s beauty. One of the mosaics of Jesus is a copy of a great painting that was removed from the Hagia Sofia during the 8th century Iconoclasm period under Leo III when all icons were banned. When a young nun named Theodosia saw a soldier destroying the image of Christ, she tried to stop him. She didn’t succeed. She was killed and the painting was destroyed. According to Christian history she had a ram’s horn shoved through her neck. I guess a soldier’s sword wasn’t enough to be truly martyred. The Iconoclasm ended in the 9th century and Theodosia was made a Saint. Our guide, Ferudun, was so interested in showing us Byzantine churches that we hiked up to the church of Santa Maria at Blachernae, built over a sacred spring. Supposedly, the Holy Mary gave her blessing to the Greeks when she stopped the wind in the sails of the Turkish ships and gave the victory to the Byzantine Greeks. Even today people are drinking the water from an old pipe that runs from the spring under the church. Farudun said we could drink the water if we wished but he valued his intestines too much. We even made a visit to the Turkish seat of the Patriarch of Istanbul, one of the 5 most important seats of the Orthodox Church. It was impressive, but it was hardly the Vatican. The Istanbul Museum is most famous for the Alexander Sarcophagus, the tomb of Alexander the Great, although the sarcophagus is really the tomb of the 4th century BC Sidonian King Abdalonymous who fought alongside Hephestion, one of the greatest of Alexander’s Generals. Yes, the sarcophagus does show images of Alexander the Great in battle, which led many to believe it was actually his tomb. But it isn’t. Originally the sarcophagus was painted with bright colors. There are details of what it would have looked like next to the now unpainted marble tomb. Many of the old marble statues and temples had color but this is the first time I’ve ever seen a complete detail of what it would have looked like. Aside from the Sidonian Sarcaphogi, the museum offers some wonderful Greek statues that the Latin Occupation of the 13th century didn’t get; the bust of Sapho, Apollo playing an ancient guitar (chitarra) and the perfect statute of Ephebos, the young Greek athelete. Through the Roman Constantinople Rooms there are a few horse head column capitals from the Hippodrome, one of the serpent heads from the Serpent Column in the Hippodrome and a lot more. 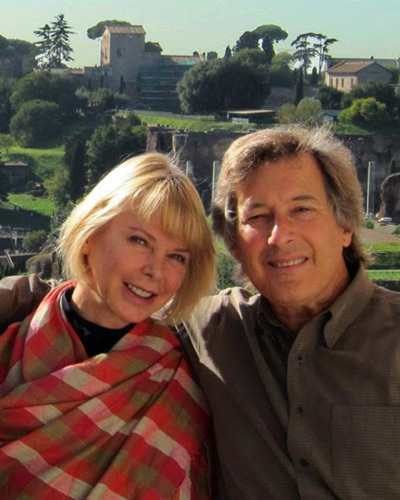 If you are looking to find the ancient Roman city, this is a great place to start. The Hagia Sophia is probably the most famous of all the Byzantine monuments. It’s the first Church to incorporate the ancient Basilica (rectangular with 107 columns with carved capitals) and the Circular dome. The current version of the church was built by Justinian in the 6th century after the previous version was destroyed during the Nika riots of 532. It is a treasure of ancient architecture even though all the treasure that was once inside was looted during the 4th Crusade. In 1453, Mehmet II turned it into a Mosque and either removed or plastered over the Christian images. The Dome was damaged over the years and flying buttresses were added by Sinan in the 16th century. In 1849, Gaspare and Giuseppe Fossati, Swiss Architects and restorers were brought in by Sultan Abdulmecid. Thanks to their work, the mosaics we see today were uncovered and restored. Still in it’s stripped down minimal version of it’s former self there are some amazing architectural gems like the Omphalion, where the Emperors of the ancient city were crowned and the perspiring column that gets wet when you touch it and (supposedly) has supernatural powers. There is always a line of people sticking their fingers into a well worn hole in the column, reminiscent of the line of people sticking their hands into the Bocca della Verità in Rome. I don’t understand why people always love sticking their hands into holes. At the Emperor’s Gate (where the Emperor’s entered) is a grand mosaic of Constantine VIII Porphyrogenitus bowing down before Jesus Christ. At the south gate is the mosaic of the Holy Mary with the Christ Child in her lap flanked on one side by Constantine offering her the city and the other side by Justinian offering her the Hagia Sophia. The old stones of the ramp leading up to the loge makes gives you the feeling of being back in the 10th century or earlier. On the loge level you really get an amazing perspective of the size of the Church. From the lower floor it resembles a Basilica but from the upper lever it looks more like a domed church. My personal favorite mosaic is the 11th century mosaic of Christ with the Empress Zoe on one side and her 3rd husband Constantine IX Monomachus on the other. Constantine IX was the 3rd husband of Zoe. The mosaic was created during the time of her first husband and with each new husband the face of the mosaic was renovated to fit the new image. 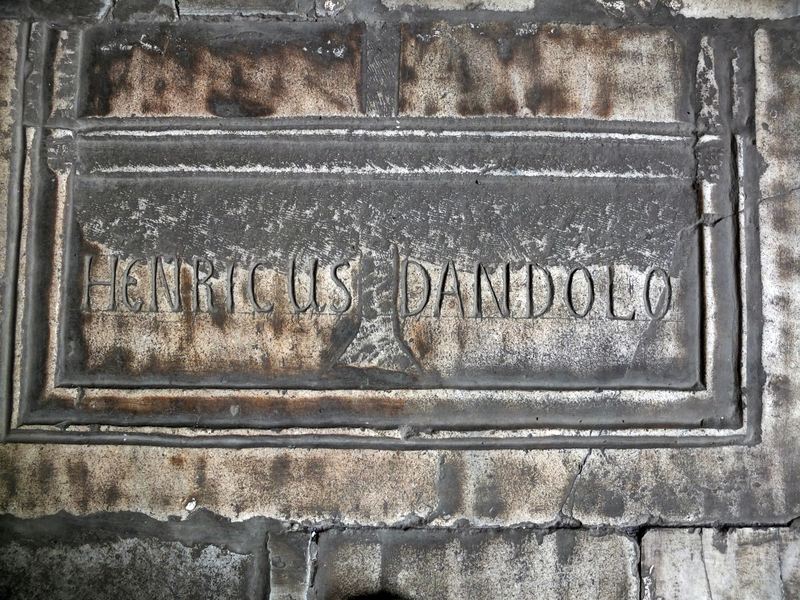 In the loge section, near the great marble doorway, you can also find the grave marker of Enrico Dandolo, the Venetian Doge who masterminded the 1204 Sack of Constantinople. He was blind and around 85 years old when he led the 4th Crusade. He died in 1205 and was buried in the great church of Saint Sophia. In 1261 when the Byzantines reclaimed the city, the soldiers of Emperor Michael VIII Palaiologos dug up the grave and threw his remains to the street dogs. Somehow the grave marker was rediscovered and put back into the church as a historical reference. In 1931, the Aya Sofia Mosque was in really bad shape and was closed down. After some restoration, it re-opened in 1935 as a museum of the Republic of Turkey. It’s still going through restoration. The Hagia Sophia been the architectural prototype for every Orthodox church (and many Latin Churches) since the 5th century. The Basilica Cistern of Justinian is another of the great Roman ruins. It was once a great Basilica (legal hall) surrounded by lush gardens at the foot of the Place Hill. The Basilica eventually became a cistern and water filtration system that provided water to the Great Palace (now buried under Sultanamet Square) and later to the Topkapi Palace. If you can’t make it to Istanbul, rent the 1963 James Bond film “To Russia with Love” and watch Sean Connery make a daring escape through the Basilica grotto. We were in the Cistern in 1998, but for this visit we just ran out of time. It’s on the list for the next visit. 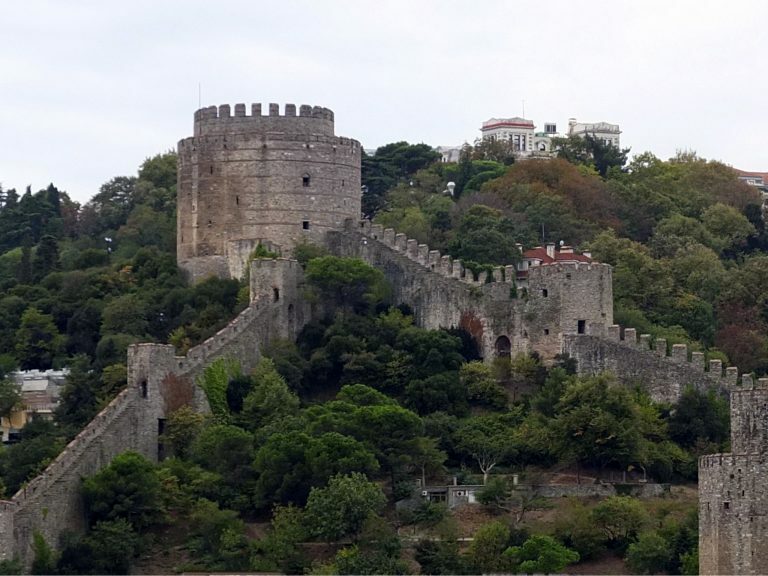 Also on the list for the next visit is the Rumeli Hasari, the fortress on the Bosphorus build by the troops of Mehmet II in just 4 months in 1451-1452. If the walls of Constantinople were going to keep him out, Mehmet was going to make sure nothing got. The Fortress was nicknamed the “Bogazkesen” (throat cutter) because it cut off the traffic heading to the Sea Wall gates and because everyone who tried to sail pass the Rumeli Fortress would end up with their throat cut. We misunderstood the stops on the Bosphorus Ferry and instead of going to Rumeli Hasari we ended up on the boat to Rumeli Kavagi, at the mouth of the Sea of Mamara. As it turns out, Rum is Rome. There are lots of places that begin with Rum. Let’s just say Rumeli Kavagi was pretty far out of the way. We got off the Ferry and made it back to Rumeli Hasari by bus. There is a small town outside the Fortress so we stopped for a great lunch, walked over to the Fortress and discovered they were closed on Wednesdays. 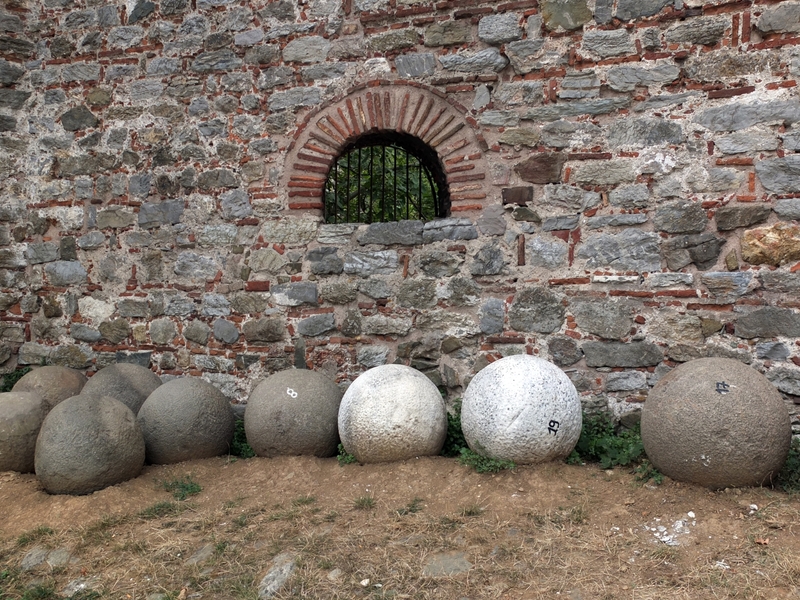 Oh well, we did get to see some of the cannonballs from the 1453 siege and a couple of the 15th century canons outside of the fortress walls. The Fortress serves as a living museum and occasional used for outdoor concerts. It’s an ominous yet very peaceful place these days, at least on the outside. Aside from the Eastern Roman and Byzantine city, we did get to a few of the post 1543 Turkish delights. All 63,000 square feet of the Suleiman Mosque have just been restored and just reopened. 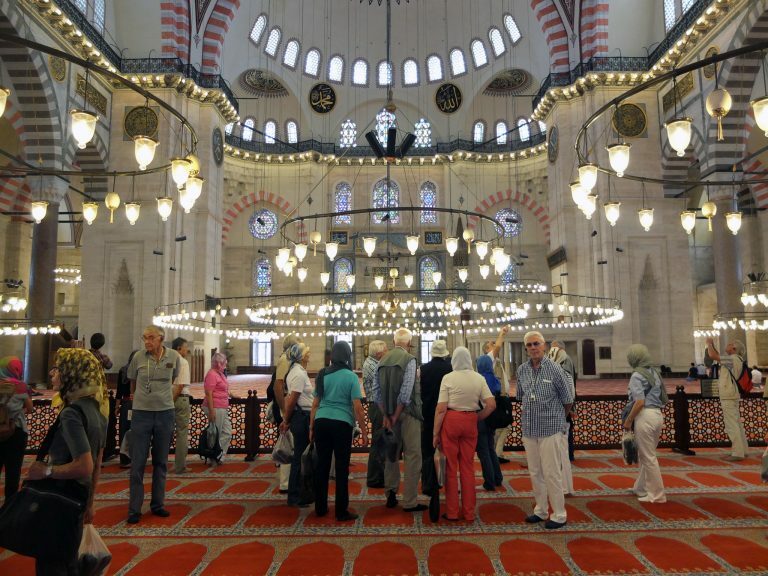 The Suleiman Mosque was designed in 1557 by Mimar Sinan, the greatest architect of the Ottoman Empire. The design is rationally simple with four half domes supporting one large dome 159’ high and 90’ wide. It was greatly damaged by a fire in 1600 and renovated again in 1956. It has just been recently restored in 2013 and reopened a week before we arrived. Lucky for us. It’s really beautiful. 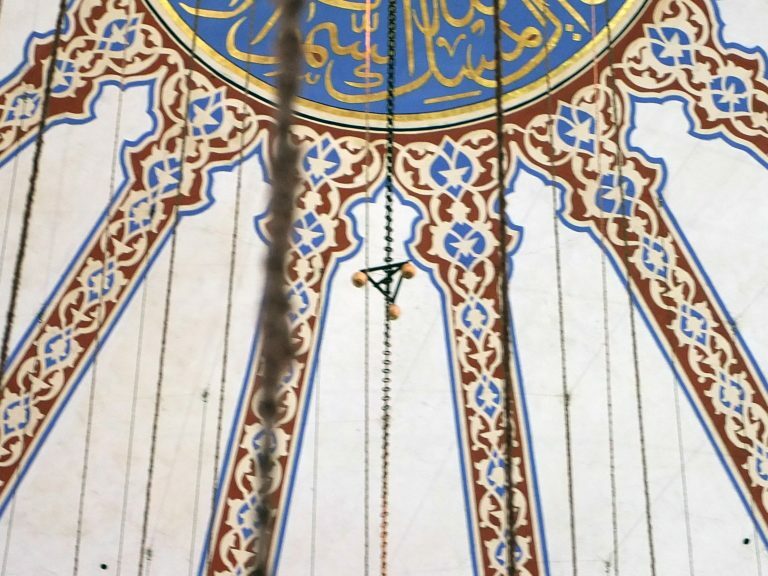 The Blue Mosque was built from marble dismantled from the Hippodrome. From the center dome of this great Mosque are suspended 3 ostrich eggs. It’s a very old tradition of the Mosque. Apparently spiders can’t stand the smell. I never even knew spiders had the sense of smell. Apparently, spiders will not spin webs anywhere near an ostrich egg. All Mosques used to put ostrich eggs in the high domes to keep away spider webs but these days they have man lifts to clean them. The Blue Mosque seems to be the only one that keeps that keeps the old Ostrich egg tradition. The Suleiman and the 17th century Sultan Ahmed (Blue) Mosque are the two largest in Istanbul. One final note. When we were first here in 1998, 15 years ago, there were packs of wild dogs roaming the streets. Mark Twain wrote about them in his 1869 travel book “Innocents Abroad”. When we were here in 2007 the government resorted to killing them with chemicals or giving them sedatives to make them sleep all day so they wouldn’t bother the locals or the tourists. 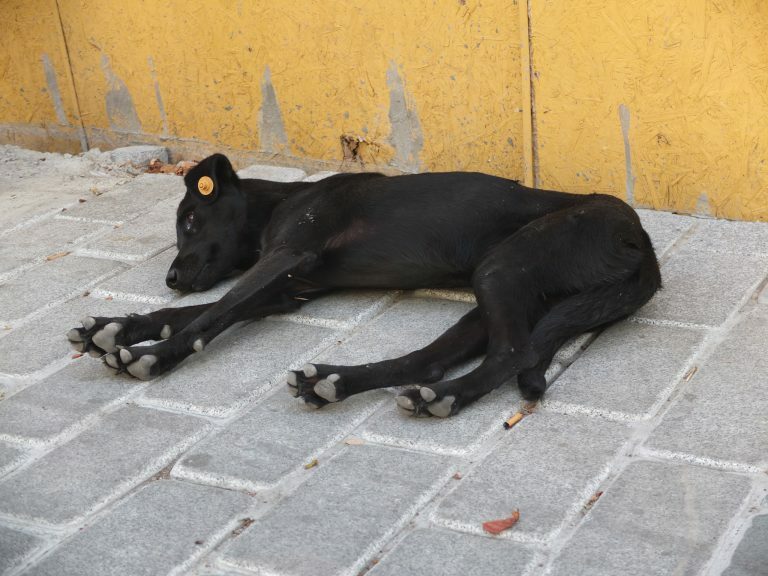 These days, in 2013, the dogs are still there but the city has come up with a new, more humane solution. They are castrating the males. You can tell which male dogs have been castrated from the yellow plug in their ears. Other than that it seems like they are also still feeding them sedatives since all the dogs we saw were sleeping on the sidewalks.